It’s an interesting time in the life of Bruce Campbell. As the one-time Burn Notice star prepares to revive the demon-slaying character that first launched his career in the ’80s in the upcoming Starz series Ash vs. 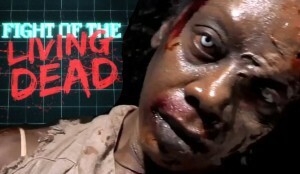 Evil Dead, the 56-year-old actor is also making a play to become the Wink Martindale of the streaming video space. 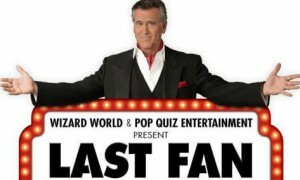 The comic con fixture is washing off the fake blood and donning a sports coat to host the game show Last Fan Standing, one of the flagship programs for ConTV, a new geek-friendly OTT service launching March 3. Fans won’t have to worry about Campbell adopting an Alex Trebek-style patronizing tone. His put-downs will be overt. 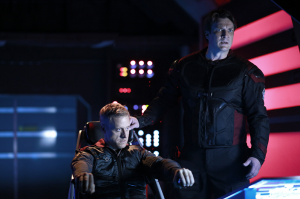 As is common in the world of online production, the show didn’t follow the classic Hollywood TV development route. 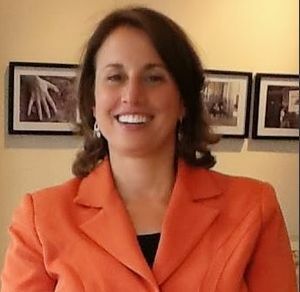 Campbell met producer Steve Sellery when the two collaborated on a live military quiz show, Qu​est for the Best: The Armed Forces Trivia Challenge. 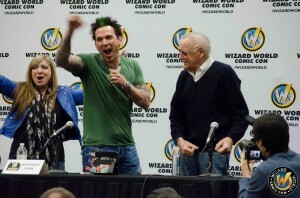 As the two were trying to secure a date for him to do that show, Campbell told Sellery about his many appearances at Wizard World comic con events, which led to them formulating the idea for Last Fan Standing. Campbell and Sellery retooled it for pop culture trivia and tried it out at a comic con in Chicago. “That went over well enough that ConTV jumped in, and then we formed a partnership and we decided to make the show and give it a go,” Campbell says. 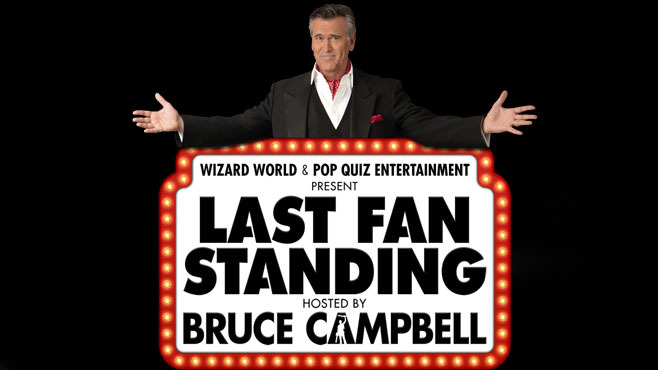 Produced by Campbell and Sellery’s Pop Quiz Entertainment, Last Fan Standing was shot at Wizard World Comic Cons in Portland and New Orleans. Campbell says while he definitely has street cred in the genre world, mastering game show hosting has been a challenge. 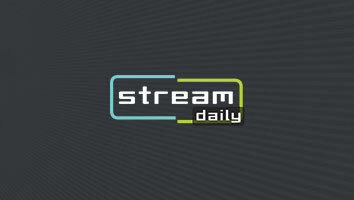 Campbell also thinks the time has come for streaming video. Had the privilege of being backstage at the taping of all 10 episodes. The fans are brilliant and Bruce is hilarious. What more could you ask for!?! Had the absolute pleasure of seeing 3-days of filming at the Portland Comiccon and my friends and I had the best time. We were going to just 1show but had to go back for the others. I was a contestant at one of the Portland shows and had a great time! I felt honored to get burned by Bruce Campbell for one of my dumb answers. Still won the game though! Ha ha! I was a contestant on one of the Portland shows.. Everyone is in for a treat! It’s a wonderful, fun, exciting show!